England Women prop and the country's most-capped player Rochelle Clark has announced her decision to retire from international rugby. 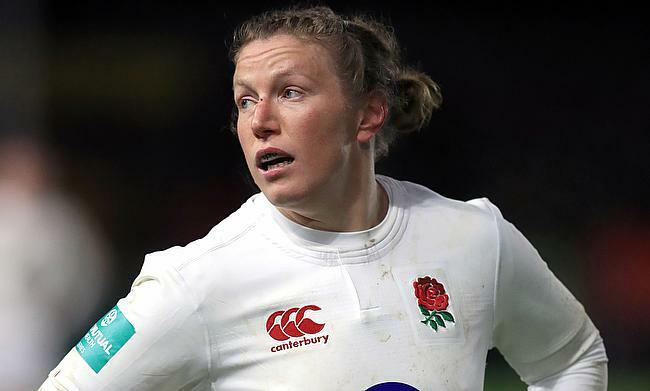 With 137 appearances for the red rose team since her debut in 2013, Clark is the most capped Test player in both the men's and women's competition when she surpassed Jason Leonard’s previous England record of 114 caps in November 2016. The 37-year-old will also retire as the most capped female player with team-mate Tamara Taylor and former Scotland international Donna Kennedy holding a joint 115-Test appearance. "I've lived such a fairytale for the last 15 years," she told BBC Sport. "Getting my first cap was out of this world but to hit the cap record and surpass Jason Leonard, it's been a dream come true. "But if they ever need me I'd always pull the white shirt back on. I'll probably regret the decision so that's why I'd like to leave the door open a little bit, but I'm looking forward to what happens in the future." Clark has represented England at 2006, 2010, 2014 and 2017 Women's Rugby World Cups with them going on to win the title in the 2014 edition. England Women head coach Simon Middleton lavished praise on Clark and believes she is an inspiration for a number of players to take up the game. "She gave as much off the pitch as on it," he said. "She's been an absolute inspiration to us and embodies everything a Red Rose should be." Clark was appointed Member of the Order of the British Empire in the 2015 New Year Honours for services to rugby. She will continue to play for Wasps in the Tyrrells Premier 15s next season.